TattooINC. is a local brand that offers temporary tattoos for purchase. It is a relatively young brand that has been scaling its business entirely through e-commerce. However, while the online sales channel provides emerging businesses with a relatively low risk but high potential platform to start the business, online sales still only reached about 9% of all retail sales in 2016. With the objective to expand its business and target additional segments, TattooINC. has been experimenting with temporary, physical pop—up shops over the past year. TattooINC. offers its customers a large variety of designed tattoos as well as freehand ink. Their tattoos provide the look and feel of a real tattoo while only lasting for up to 14 days. The company`s vision is to establish such temporary body art as a creative mean for self-expression. TattooINC. allows designers across the world to submit designs to their website and offers a tool to customize one`s own tattoo. As such, TattooINC has established itself as a popular online retailer with an engaged and active online community over the past few years. 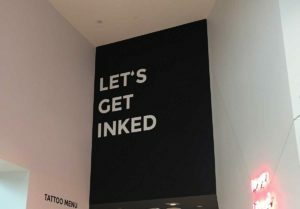 However, in order to further expand its business, TattooINC. ran a couple of temporary pop-up shops in a vibrant and trendy neighborhood that is home to many local businesses in downtown Toronto in 2016. In 2017 it further evolved its pop-up activities by partnering with a brand-new retail concept in a popular mainstream mall. The new retail concept named Contos was initiated by the landlord of the space and a local design firm. The space is 3,600 Square feet and hosts a number of rotating small and local merchants for a limited period of time. TattooINC. was occupying about a sixth of the space for a 3months period. Other merchants included local fashion brands and a milkshake café. 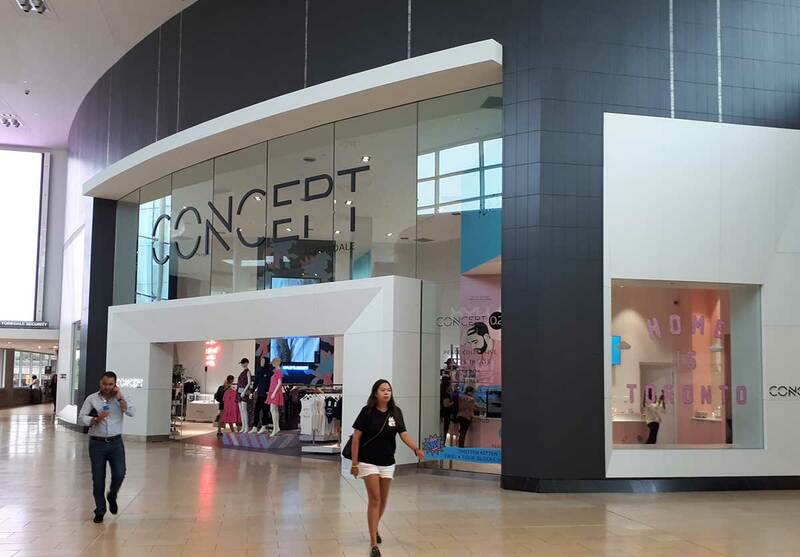 The initiators of Contos aimed to make the space attractive through adding rotating, trendy and local brands amongst the mainly large chain and luxury retailers. 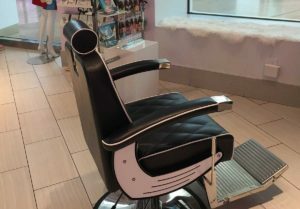 Whereas TattooINC benefitted through being able to afford retail space in such popular mall which usually requires expensive monthly rents and a long-term commitment. TattooInc leveraged inisghts from its online sales and offered the 100 most popular designs for purchase in the store. 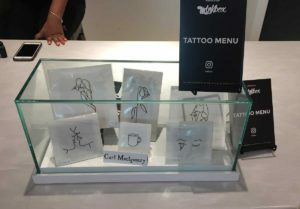 Furthermore, it created a real tattoo experience by adding a couple of chairs and offering customers to have the tattoos applied by TattooINC experts for no additional charge within the store. The pop-up shops in 2016 and 2017 differed in its locations. What do you think was the major difference with regards to the customers it attracted? The pop-up shop pursues numerous objectives. Which ones?